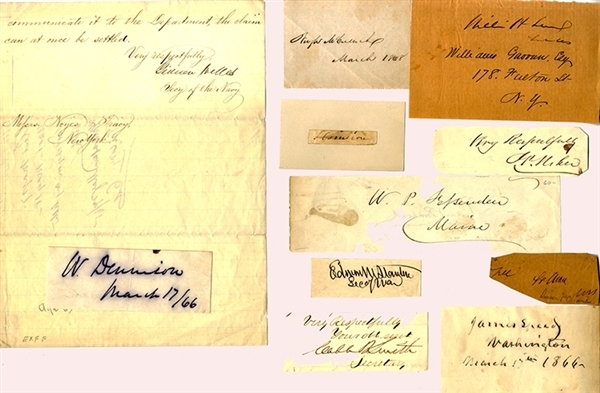 These signatures include; “Gideon Welles, Sec. of the Navy”; “J.P. Usher”; “William H. Seward”; “W(illiam) P(itt) Fessenden”; “S(almon) P. Chase”; “W(illiam) Dennison”; “Caleb B. Smith, Secretary”; “Edwin M. Stanton, Sec of War;” “Hugh McCulloch”; “S(imon) Cameron”; and “James Speed”.